Despite being around for centuries, typhus lacks a vaccine and is still cropping up in communities worldwide. We don't think of typhus as a contemporary problem, but it's never been exterminated. Flea infestation is one source. As CA.gov reports, "In the United States, most cases [of typhus] occur in Texas, California, and Hawaii, with an average of about 300 cases every year. 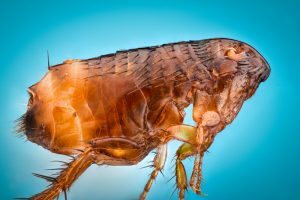 Flea-borne typhus is considered endemic (always present) in areas of Los Angeles and Orange counties, but cases are also sometimes reported from other parts of California." Typhus is a group of bacterial diseases with a long history. “Epidemic typhus caused by Rickettsia prowazekii is one of the oldest pestilential diseases of humankind,” according to researchers of an article published in the journal Microbiology Spectrum. Before learning more about typhus, how it spreads, and how to avoid this nasty disease, it’s important to understand what this nasty disease really is. According to the researchers mentioned above, the first officially recorded typhus outbreak occurred in the 18th century in Douai, France. It was thought to stem from contact with lice on Spanish soldiers returning from America. A large number of Napolean’s soldiers also suffered from typhus. In fact, many believe more of Naoplean’s soldiers were killed by typhus than by Russian soldiers. Typhus also ran rampant in German concentration camps during World War II, killing Anne Frank and thousands of others. In all, more than 3 million deaths can be blamed on this disease both during and after World War I. Epidemic typhus. This more serious, potentially fatal form of the disease is caused by the bacteria Rickettsia prowazekii, which is usually transmitted by body lice. Endemic typhus. A milder form sometimes referred to as murine typhus, this type is caused by Rickettsia typhi or Rickettsia felis bacteria, which is often transmitted by the bite or feces of fleas found on rats, cats, raccoons, skunks, and possums. This type is rarely deadly. Scrub typhus. Caused by the bacteria Orientia tsutsugamushi, this type of typhus is transmitted by chiggers (the larvae of mites). It’s also known as tsutsugamushi disease. Symptoms of typhus become noticeable within one to two weeks of contact with the infection and last about two weeks if there are no complications. 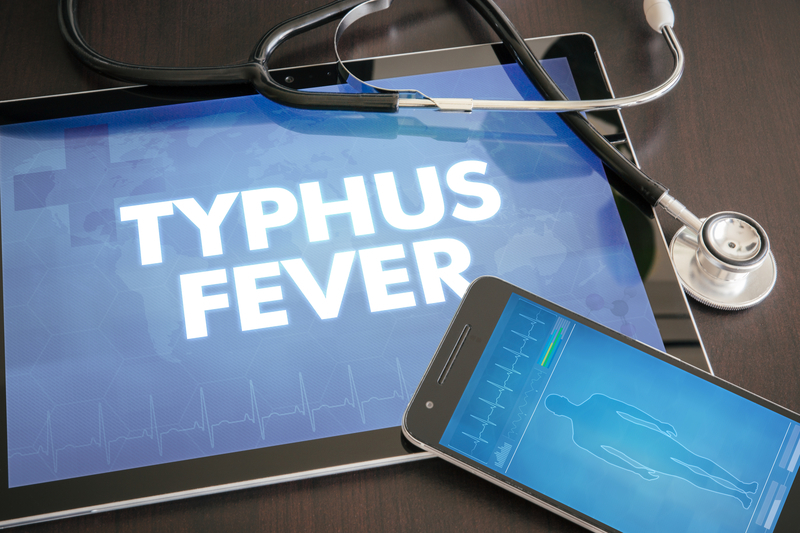 Since symptoms often mimic those of the flu, typhus can be difficult to diagnose. Despite being treatable with antibiotics, typhus remains a threat today mainly because of poor sanitary conditions throughout the globe. “In the 21st century, circumstances are still conductive for outbreak; the emerging threat of bioterrorism raises justifiable concerns that typhus could affect civilization just as greatly in the future as it has in the past,” according to authors of a report called “The History of Epidemic Typhus” in Infectious Disease Clinics of North America. Outbreaks have recently been recorded in Travis and Galveston counties in Texas, and in various parts of California. Typhus and typhoid have been mistaken for each other for centuries. While typhoid is a food-borne illness caused by salmonella typhi, typhus can be blamed on the following bacterium: Ricksettia prowazekii, Rickettsia typhi, Rickettsia felis, or Orientia tsutsugamushi. Typhoid is spread through contaminated water or food while typhus is contracted through a bite (or contact with the feces) from a tick, flea, or louse. Both diseases have similar symptoms (e.g., fever, abdominal pain, confusion, and fatigue), which can make them difficult to diagnose. Visiting or living in areas with high populations of rats, mice, cats, opossum, and other animals increases a person’s risk of contracting typhus. Disaster zones, poverty-ridden areas, jails, and refugee camps are especially prone to the disease. It has also run rampant in homeless populations. Yes. Between 10 and 15 percent of those who contract epidemic typhus will die from complications of the disease, claim researchers of an article published in Infectious Disease Clinics of North America. Only about two percent of those who suffer from endemic typhus die. There is currently no vaccine for typhus, meaning avoiding fleas and lice is your best bet to stay healthy. Keep your garbage containers tightly covered to avoid attracting rats and possums, apply flea control medicine to your pets, and don’t leave pet food outside. The good news? The majority of those who contract typhus can be cured with antibiotics, especially if they take the medicine early. Multiple types, including azithromycin, doxycycline, and tetracycline have been used to successfully treat the disease. See an infectious-disease expert to ensure your treatment plan is optimal for your condition. Recent outbreaks of typhus in California and Texas have been attributed to flea infestation. Through the bite of an infected tick, louse, mite, or flea. By scratching a bite and opening the skin. The bacteria from the louse, tick, or flea’s feces can then enter your bloodstream, where it grows. Taking a detailed history from the patient is key to diagnosing typhus. A physical exam and various tests including a skin biopsy, Western Blot test, Immunofluorescence test, and blood samples are also essential steps in the diagnostic process. abdominal pain, antibiotics, back pain, bacteria, blood pressure, central nervous system, diarrhea, flu, food, hypotension, infection, joint pain, low blood pressure, pain, pain back, pneumonia, report, skin, skin biopsy, stay healthy. Excellent sharing about Typhus. Thanks for describing this bacterial diseases group.